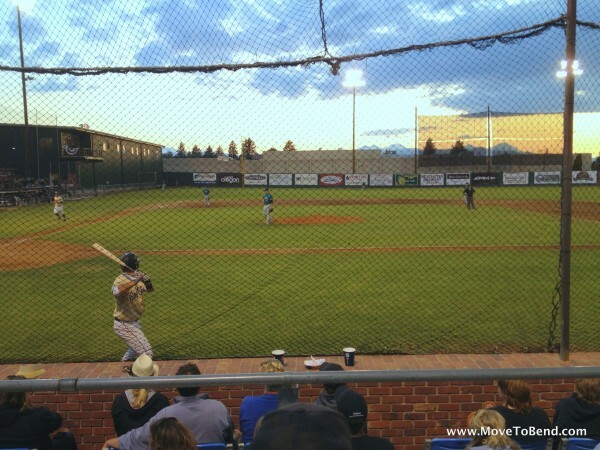 Last Saturday we attended a Bend Elks baseball game at Vince Genna Stadium in Bend. There is probably nothing that has more of the feel of Americana, than spending time at a small town baseball game. The stands were absolutely full of people. Hot dogs, popcorn, beer, and snacks of every variety abounded. Then there is the fact that you’re in Bend. The night was just the right temperature, and while you’re watching the game you can also see the sun setting over the Three Sisters in the background. If you’re contemplating a move to bend and are still not entirely sure, I encourage you to take some time and visit during an Elks game. The smiles, cheers, and happy people will tell you all you need to know. The evening was not without surprises. In the 8th inning, a rain cloud came over and dumped a shower on us. 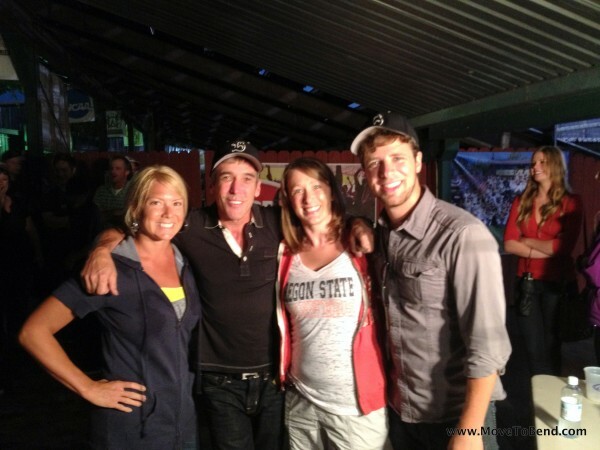 It only caused a small delay in the game, so while we were waiting, we ran under the stands and hung out with nationally syndicated DJ, Kidd Kraddick and [like_to_read]Tim Halperin from American Idol.